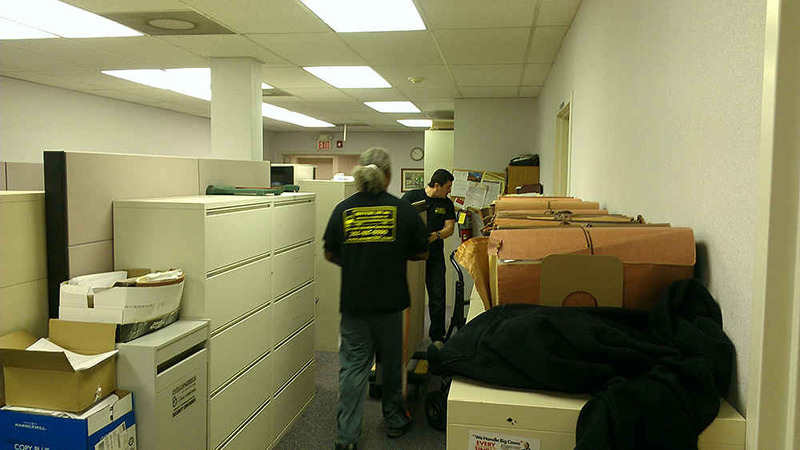 A Single Office or Entire Building, Movers201 can handle your commercial move of any size. We have extensive knowledge and experience in all types of commercial moving, including the relocation of Schools, Malls, Hospitals, Industrial Facilities, and Hundreds of Offices, both Large and small. These projects require skillful planning that can come only from experience. We have a detailed knowledge of commercial properties, familiarity with modular furniture and storage units, and specialize in moving cubicles, computer and other office equipment. This along with our state-of-the-art equipment and carriers and incomparable team of professional movers make Movers201 second to none in the industry. When moving your office, there’s usually more on the line than whether your items arrive unharmed. If you’re the individual overseeing the move, your professional reputation is a factor as well. It’s up to you to choose the most dependable, cost-effective solutions while minimizing downtime. We are available nights and weekends or at your convenience. We also know the importance of keeping both the old and new spaces in great condition and take extra precautions by providing floor covering and wall protection. Whatever your needs, we will work with you to ensure a smooth transition from start to finish. We start with a Free, No-Obligation, On-Site Visit from a relocation consultant, usually the owner himself. He will perform a detailed survey of all items being moved, determine materials and boxes needed, and consider access type to premises and special equipment needs. He will review building requirements, elevator access and availability, provide solutions to any unique circumstances, and answer any questions you may have,After the initial visit, we will tailor a custom-made moving plan for your business. We will provide you with a Guaranteed price along with a detailed proposal outlining the entire move. We request a second meeting with you so we can explain the proposal in person and answer any questions you have. Remember, this is all provided at no cost or obligation to you, and with little time or effort on your part. When you choose us as your mover, we’ll hold a comprehensive meeting where all details are thoroughly reviewed, responsibilities are clarified, and all questions are answered. We will deliver any boxes or materials needed prior to move day and will remain available for you at all times to make revisions, provide additional materials, answer questions or relieve concerns.